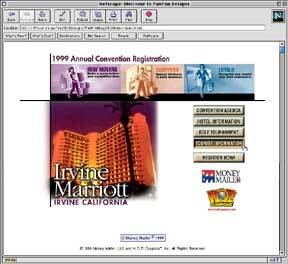 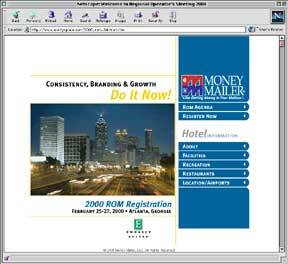 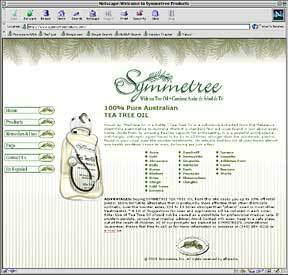 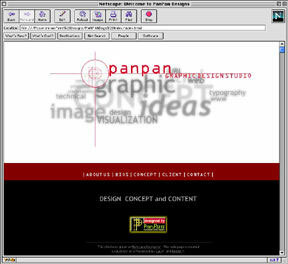 The realm of web designing is a very different animal from other design mediums such as print. 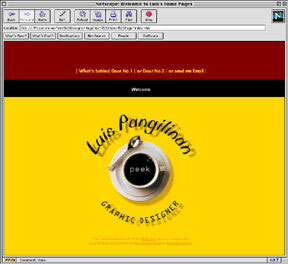 Web designing hosts a slew of workarounds, frustrations, programming variables alongside an infinite creative space — that and the perks of instant gratification which web publication provides. 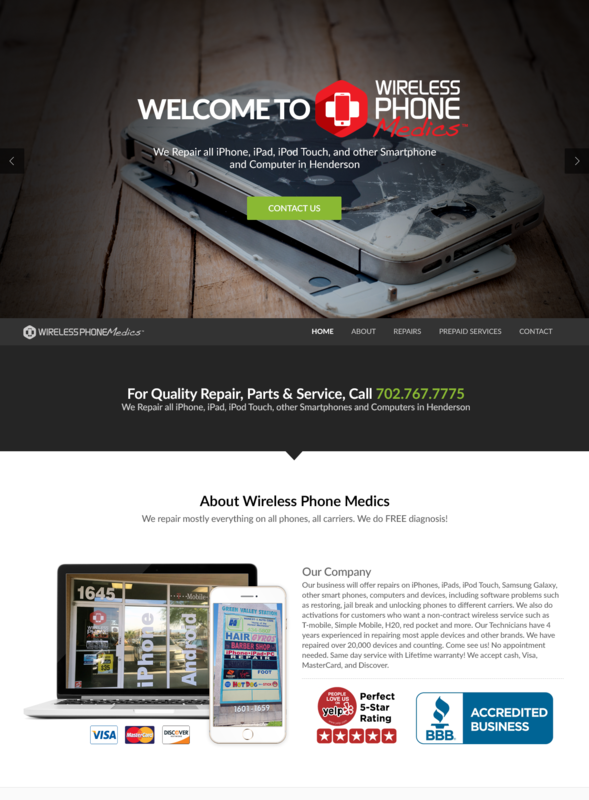 Website and logo design for Wireless Phone Medics. 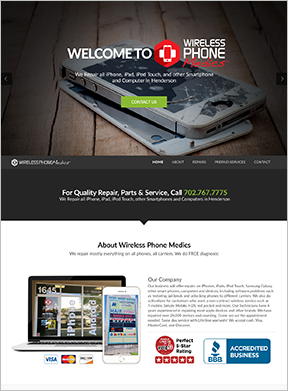 Click here to see larger view or visit the live site at hendersoncellphonerepair.com. 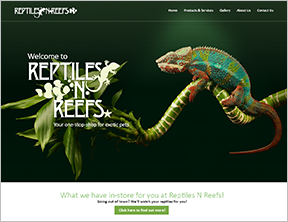 Website and logo design for Reptiles N Reefs. 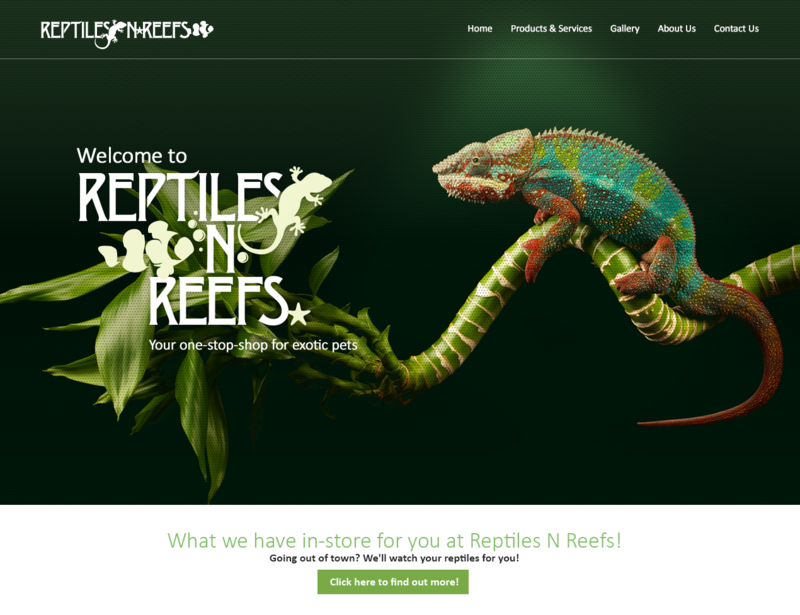 Click here to see larger view or visit the live site at www.reptilesnreefslv.com. 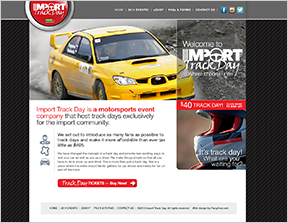 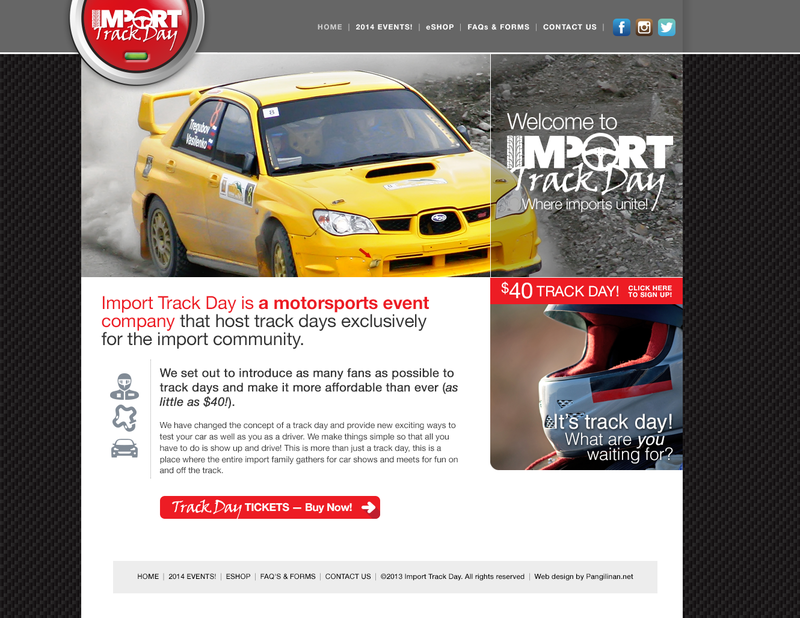 Website and logo design for Import Track Day. 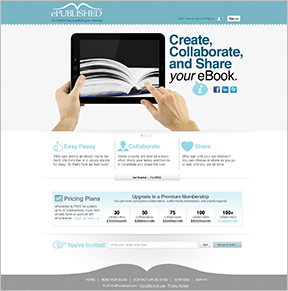 Click here to see larger view. 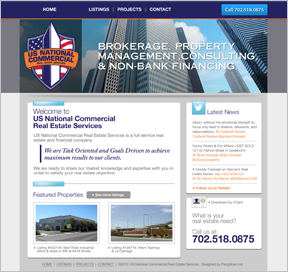 Website design for US National Commercial Real Estate Services (Click here to see larger view). 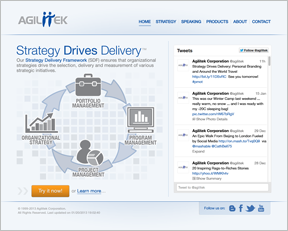 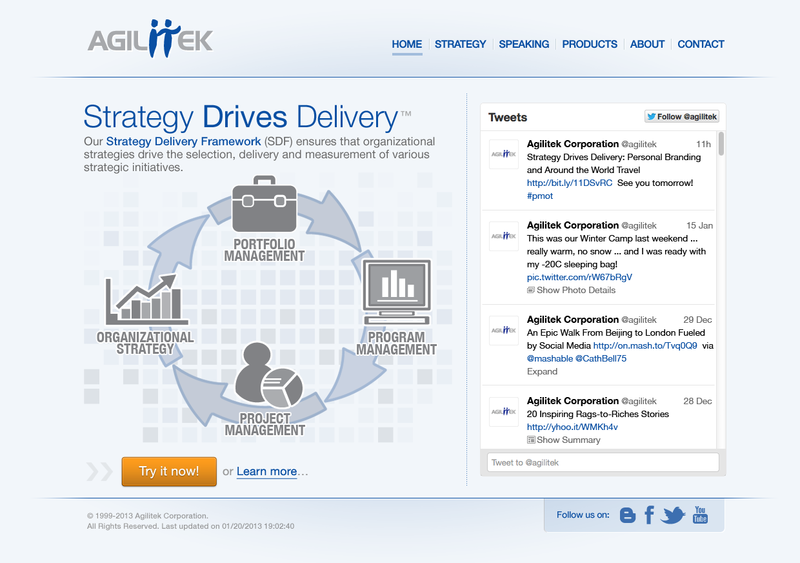 Website re-design for Agilitek Corporation. 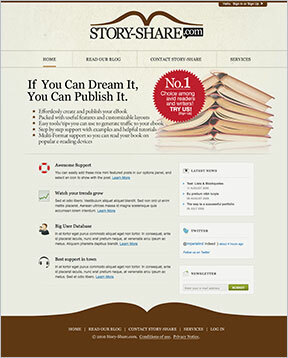 Click here to see design (preview). 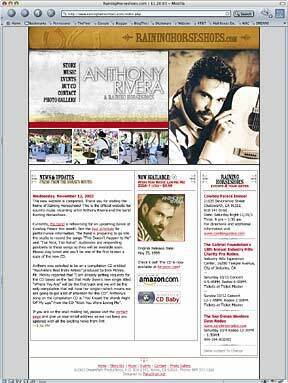 Website for Brinoy: Brazilian-Pinoy Music. Click here to visit the website. 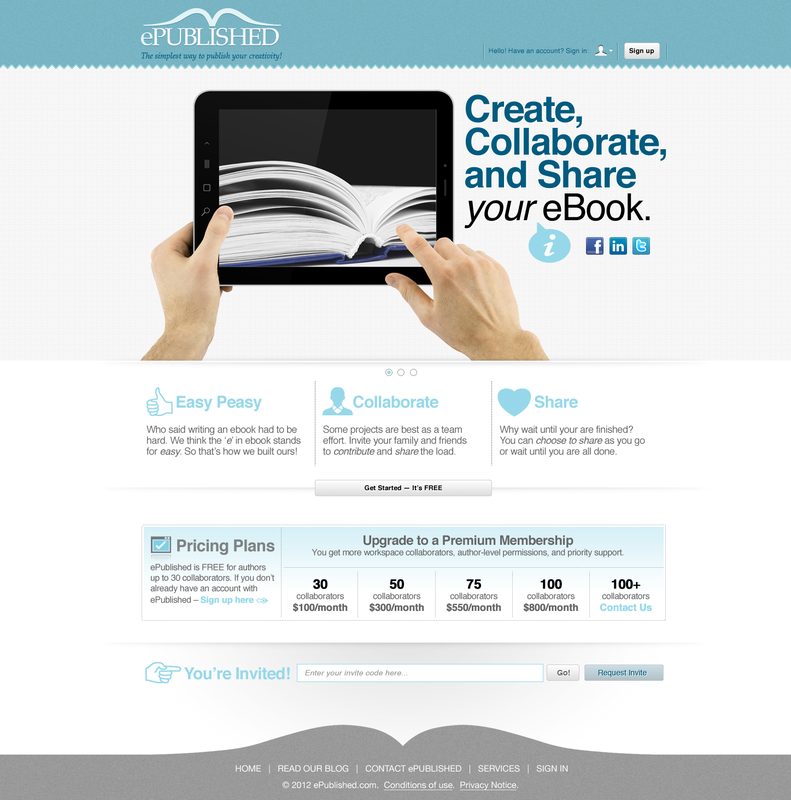 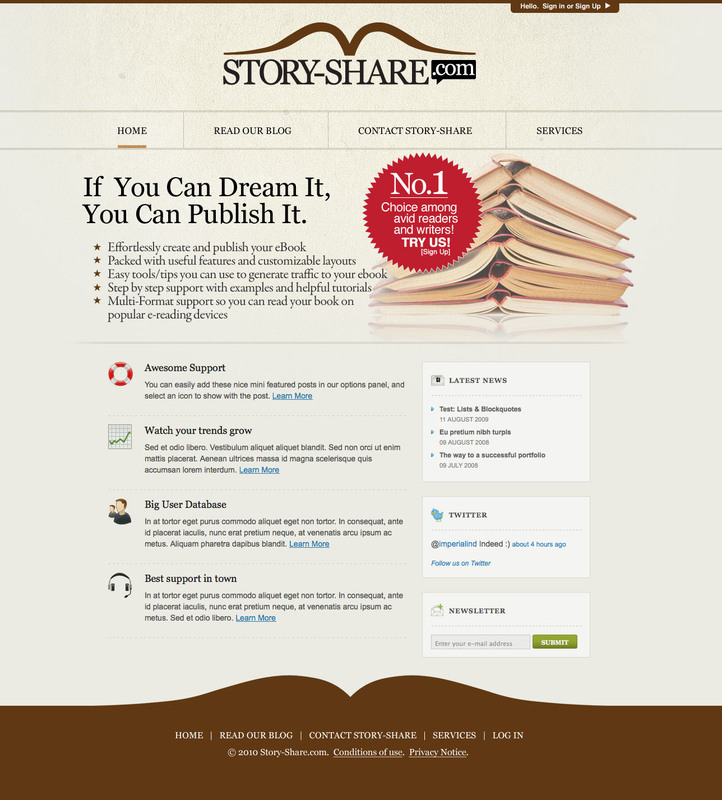 Website template and logo design for ePublished. 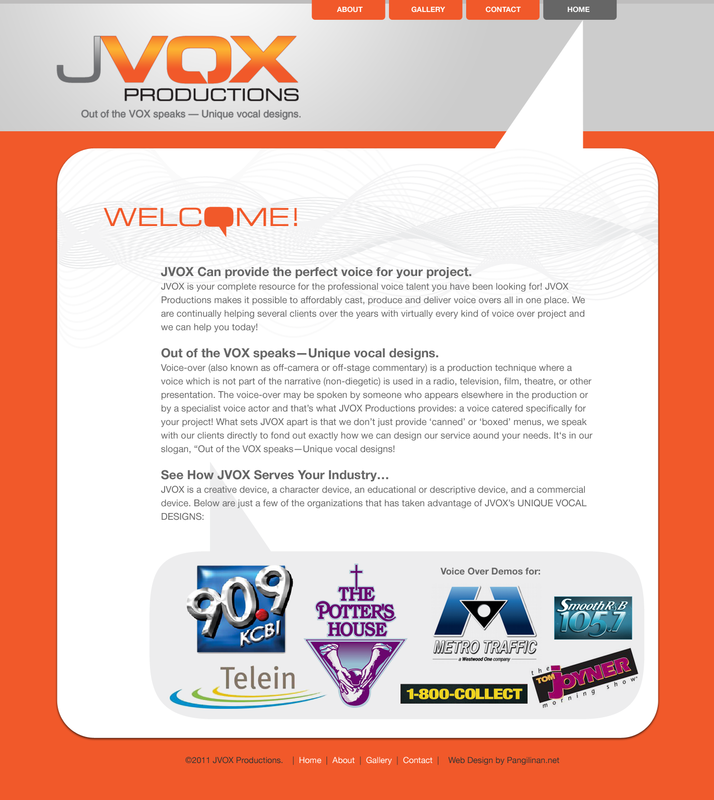 Visit the live site for jvox.com. 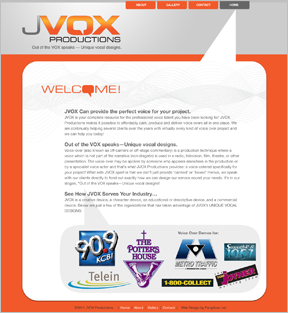 Website (and logo) design for JVOX Productions. 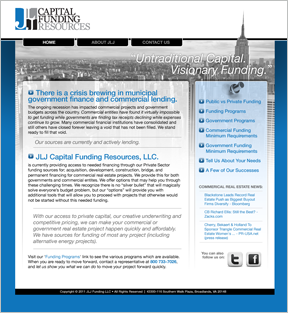 Visit the live site for JLJFunding.com. 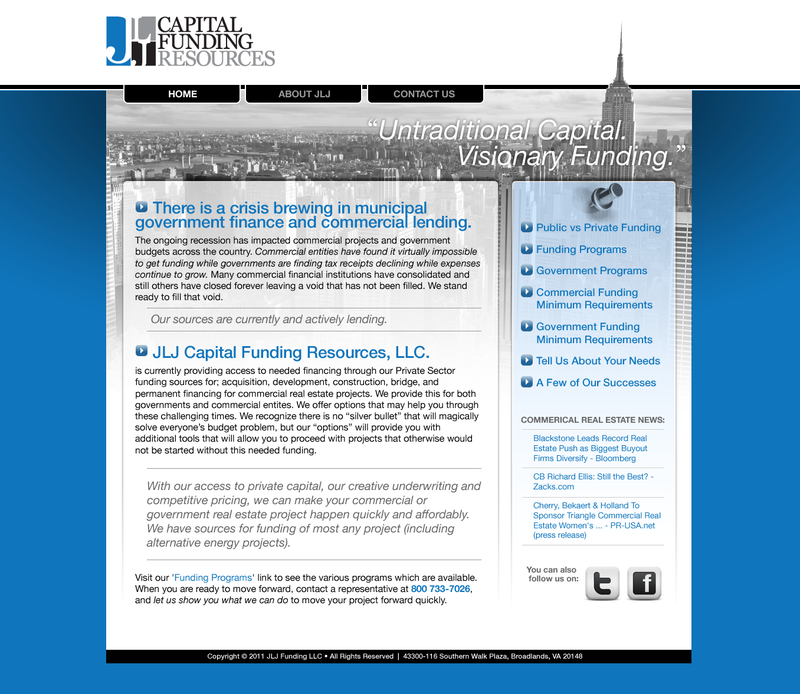 Website re-design for JLJ Capital Funding Resources. 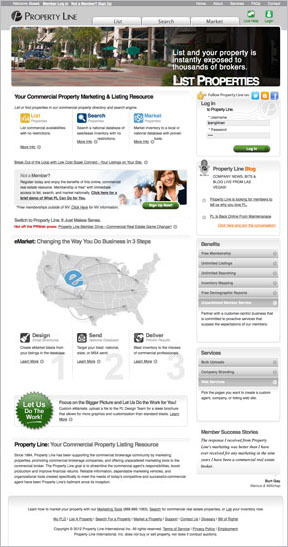 Property Line. 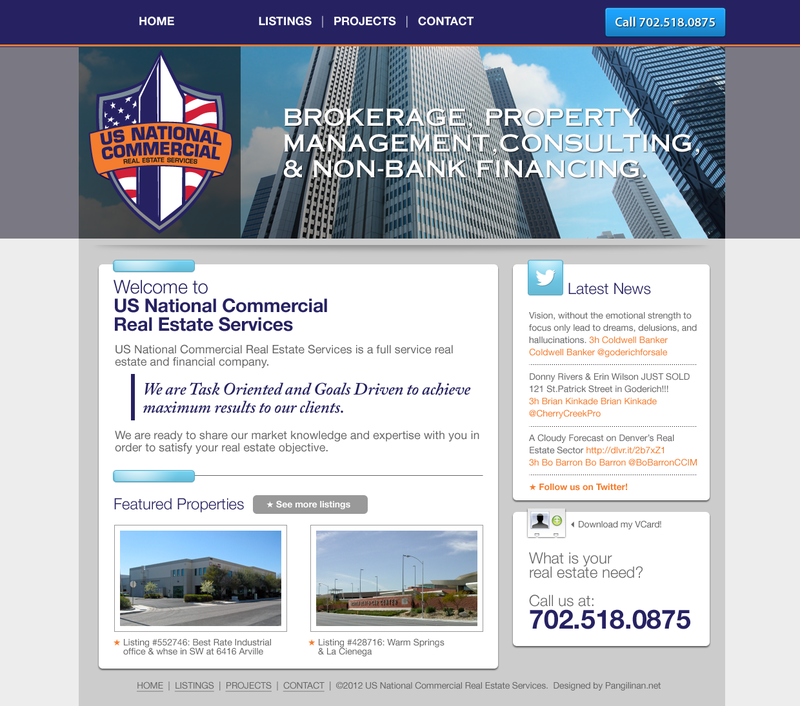 Website re-design for Property Line, a company that focuses on the commercial real estate industry via listing, searching and marketing. 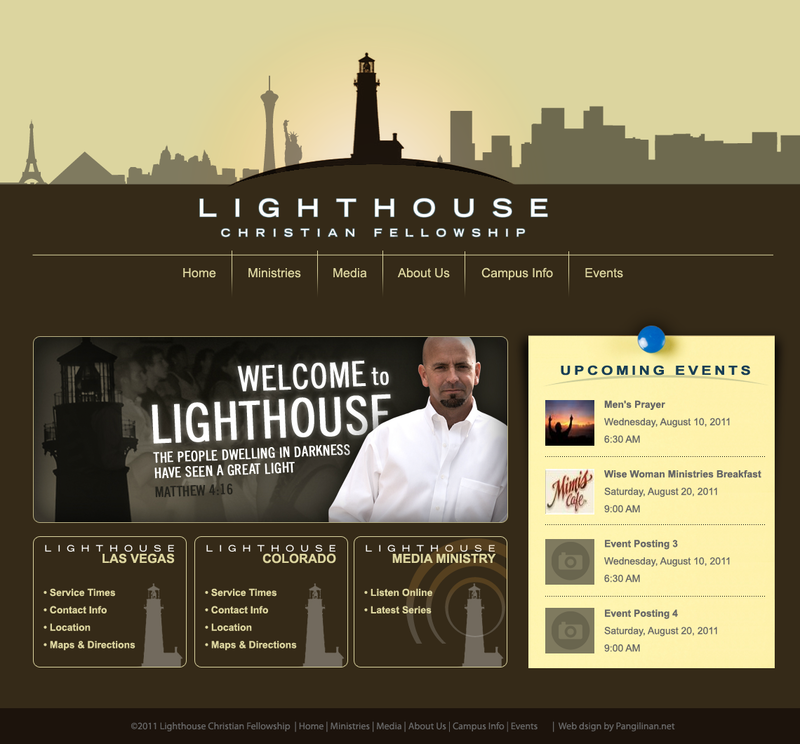 Lighthouse Christian Fellowship. 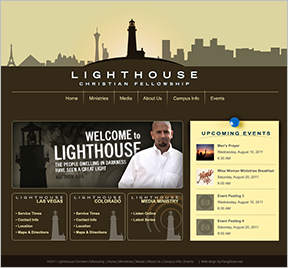 Website re-design proposal for Lighthouse Christian Fellowship. 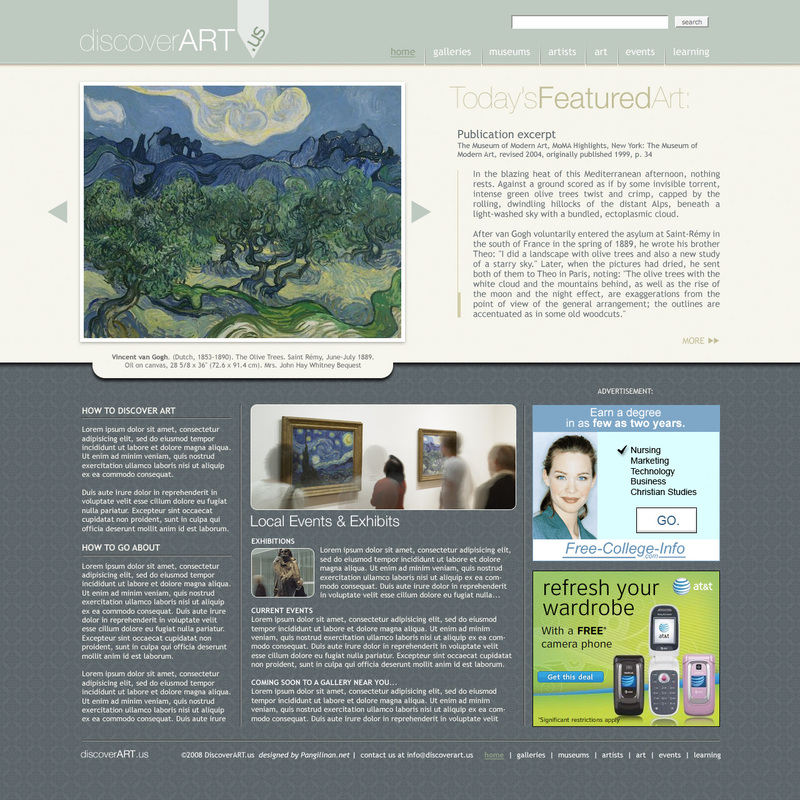 DiscoverART. A website design proposal for DiscoverART. 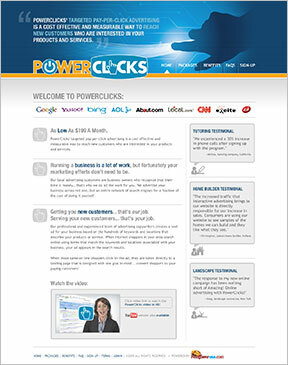 PowerClicks. 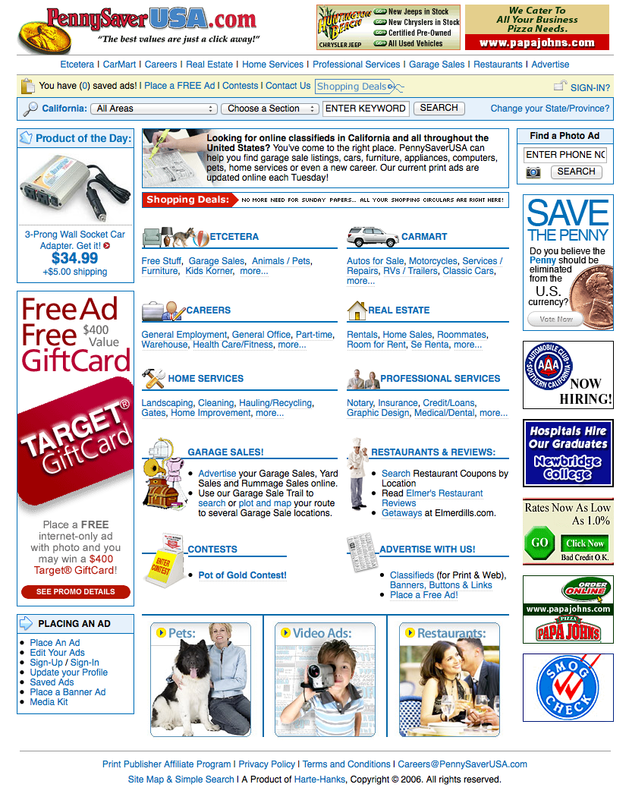 A redesign of the Pennysaver PowerClicks website (which also included an entirely new logo design). 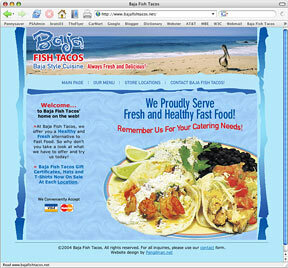 Props to my freelance partner Jason Dooley for the awesome CSS implementation. 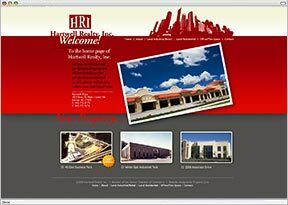 HRI. 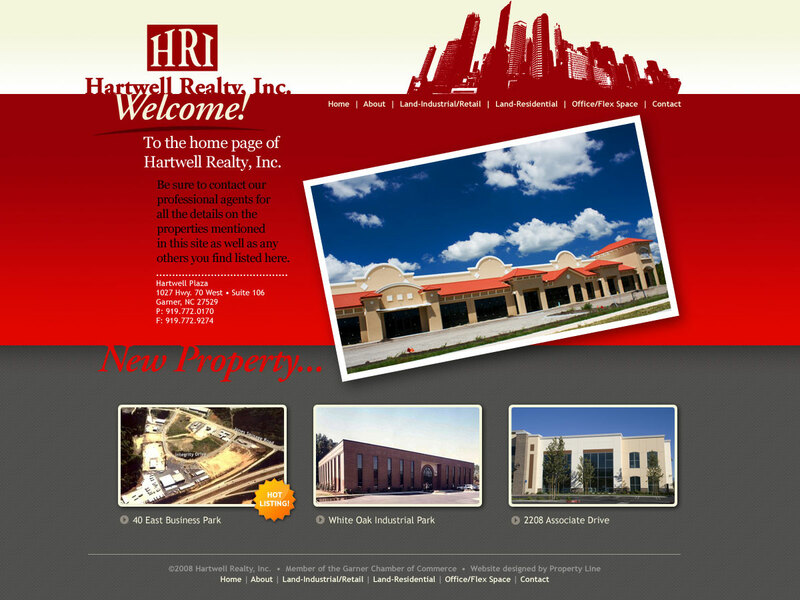 A website design proposal for Hartwell Realty Inc.
Las Vegas Investments Realty. 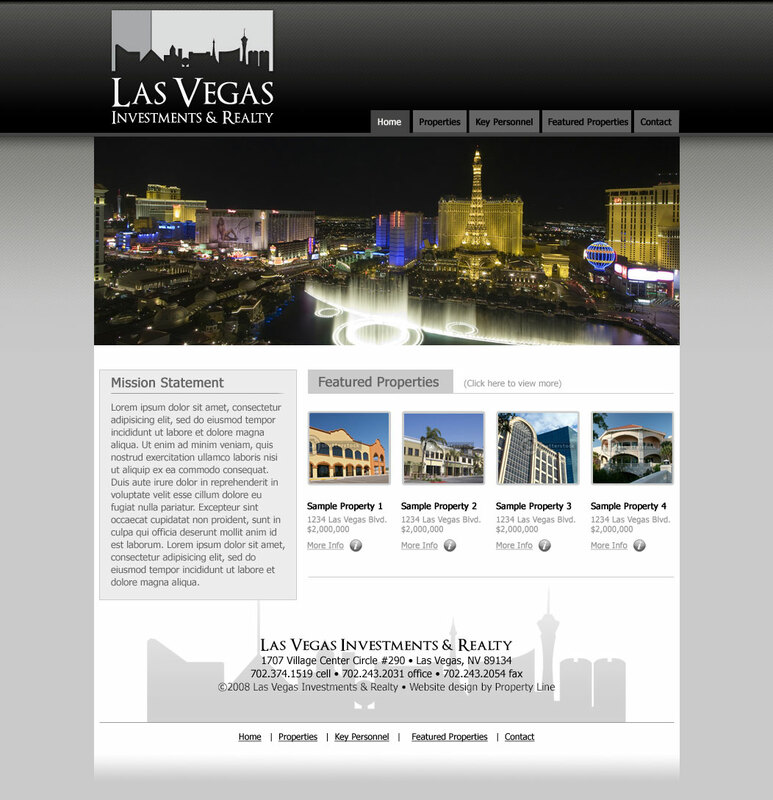 A website design proposal for Las Vegas Investments Realty. 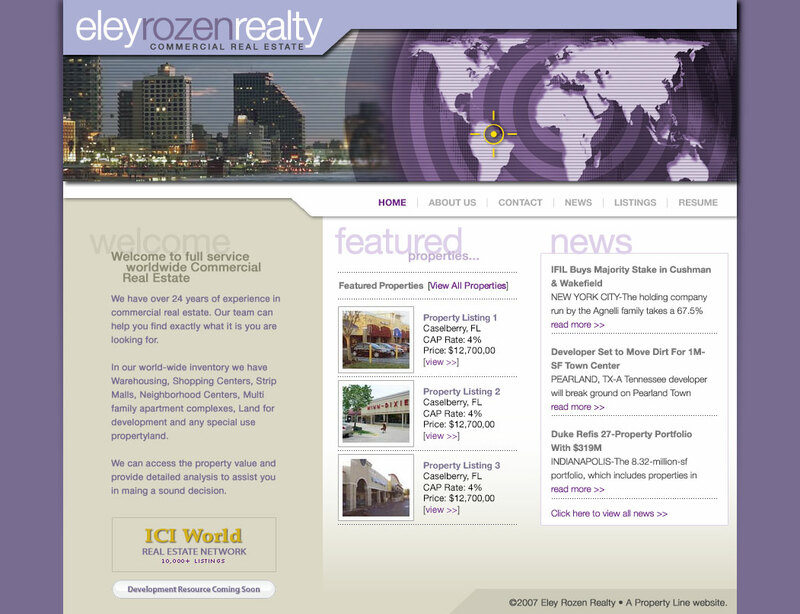 Eley Rozen Realty (A collaboration site by the Property Line group: I provided the front-end design, while my friend Matt flash-animated the header. 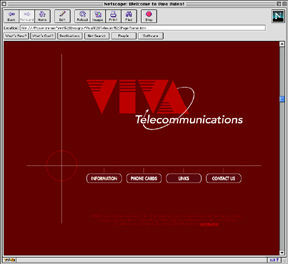 OMVIC. 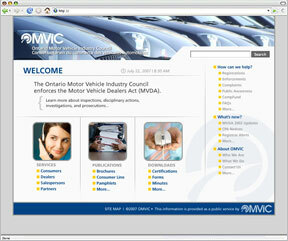 A redesign of the entire Ontario Motor Vehicle Industry Council website (which also included the intranets and email newsletters). 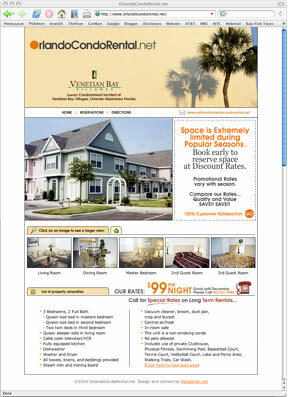 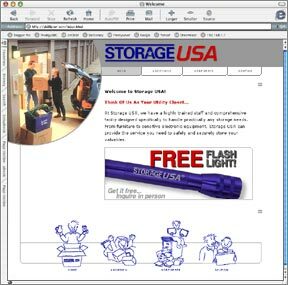 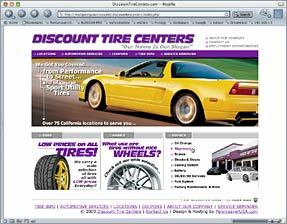 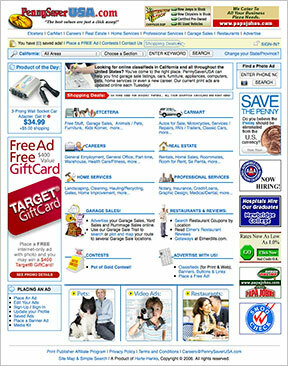 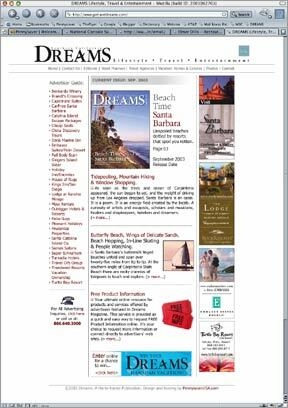 PennysaverUSA.com (Circa 2006) - complete website re-design, ad graphics, icons and HTML code with ASP hooks. 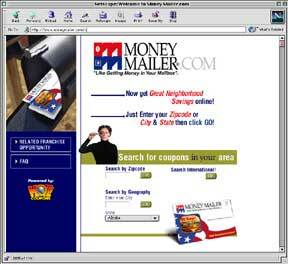 Money Mailer's "i want 2 win"